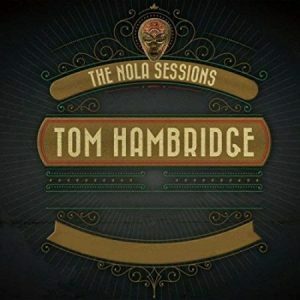 When Nashville-based singer/songwriter/producer Tom Hambridge decided to pay tribute to the city of New Orleans with this CD, he had no trouble recruiting several of the biggest names in Big Easy music – including Ivan Neville, Sonny Landreth and the late Allen Toussaint — to help him. But that should come as no surprise to anyone who’s aware of the rich legacy he’s already created in the worlds of blues, country and rock. A native of Buffalo, N.Y., who graduated from Berklee College Of Music and spent three years on the road as the percussionist for guitar legend Roy Buchanan, Hambridge has earned Grammys as a producer of Buddy Guy’s Living Proof and Born To Play Guitar albums as well as more nominations for his collaboration with a who’s who of entertainers, including Eric Clapton, B.B. King, Van Morrison, Johnny Winter, Gregg Allman, Kid Rock, George Thorogood, Susan Tedeschi and many others. This is the eighth release under his own name for Hambridge, who’s captured seven Blues Music Awards and about 20 more nominations as both a producer and percussionist. Recorded at The Parlor studios in the Crescent City and mastered at Abbey Road Studios in London, this album features an entire lineup of tunes either penned by Tom himself or in concert with others, all of which are steeped in the rich tradition of New Orleans. 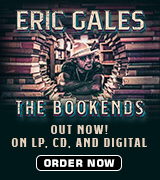 In addition to Neville and Toussaint on keyboards and Landreth on slide guitar, the work includes contributions from The Naughty Horns (John Culbreth, trumpet; Ian Bowman, tenor sax; and Nick Ellman; baritone sax), Kevin McKendree and David Torkanowsky on keys, John Fohl, Rob McNelley and Shane Theriot on electric guitar, Max Morin, Calvin Turner Jr. and Tommy MacDonald on bass, Wendy Molen, SaRachel and The McCrary Sisters (Regina, Ann, Alfreda and Deborah) on backing vocals and Nathaniel Smith on cello. The Southern rocker “This End Of The Road” features Landreth in his first appearance before the funky “I Love Everything” sings praise of a lady in horn-fueled stylings that would be home on Rampart Street. Next up, the bittersweet ballad “What You Leave Behind” describes a boozer whose habit robs him of everything even though he made the world a better place in many ways. 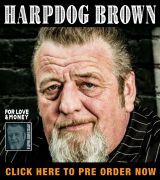 The subject turns to a lady’s recent departure in “Little Things” before Hambridge delivers his own version of “Whiskey Ghost,” a song he co-wrote with Grammy winner Gary Nicholson for Guy’s 2013 Rhythm & Blues. This time, it comes across with a haunting reggae feel. The action heats up with “Save Me,” which features the McCrarys and finds the singer desperate for a help and a second chance at life, but cools for the funky “A Couple Drops,” which describes an encounter with a contentious Vietnam vet. The ballad “Masterpiece” describes a father-son relationship filled with artistic imagery, while the driving rocker “Me And Charlie” pays tribute to Guy’s longtime bus driver, Jeffrey Steele, before the set closes with the country-flavored ballad, “Trying To Find It,” and the acoustic “Faith,” which looks at belief from various angles. Available from Amazon, iTunes and Spotify, The Nola Sessions is a winner on all counts. Don’t be surprised if this one garners Hambridge more nominations in the next awards season. It’s that good.